I received a copy of this book from the author, for review purposes. Sarah Hartsford is barely coping. Her Husband and her youngest daughter disappeared 18 months ago and she is still trying to come to terms with this. Her two teenage daughters need her to be strong, but when a part of you is missing it's not as easy at it seems. While she continues to work and try to hold life together, she is constantly wondering if her husband just ran off with her daughter after an argument about custody, or if something more sinister has happened to them? The arrival of a letter, supposedly written by Robin, the missing child, causes her to panic. Where is she, who took her and is she ok? With the help of her ex-husband Shawn, a policeman , Sarah begins her own desperate investigation to try and locate her daughter. 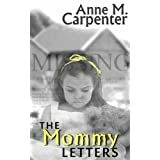 Anne M Carpenter has written about every Mother's worst nightmare, a missing child. Most of us panic when our children get lost in the supermaket for 10 seconds, never mind not knowing where they were for 18 months! Sarah's grief is described when she receives each letter, as she goes into a trance-like state. She also has the added trauma of a Mother who suffers from Alzheimer's and a stressful job in the local Mayor's Office. Her two teenage daughters are a blessing to her, well rounded and very well behaved, they are a blessing to her. She also has the added benefit of a wonderful ex-husband (the teenager's father) who will do anything for the struggling family. I enjoyed this novel from the start. It is well paced, nicely written and easy to read. There are a little too many American slang words, like "heck", "time out" etc to make it transferable to the European market without it seeming a bit twee. The story gets very rushed towards the end and tangles itself up a bit without addressing some major issues. 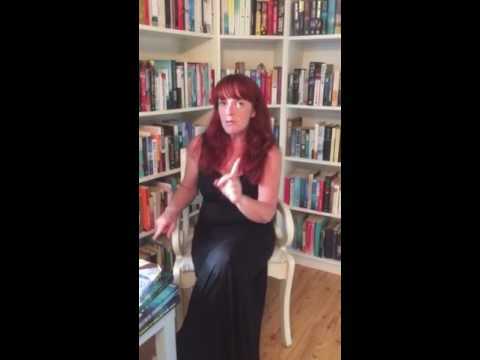 All in all, it's a good thriller which makes the reader what wants to know what's going to happen next and I was reluctant to put it down in the evening.
" The Mommy Letters " is published by KLG Press and is available as an e-book. Anne M Carpenter can be contacted via Facebook.com/AnneMCarpenter and Twitter.com/AnneMCarpenter.